Southern California Public Radio (SCPR) is a member-supported public radio network that operates 89.3 KPCC-FM in Los Angeles and Orange County, 89.1 KUOR-FM in the Inland Empire and 90.3 KPCV in the Coachella Valley. Reaching more than 600,000 listeners every week, SCPR is the most listened to public radio news service of any kind in Southern California and serves the diverse communities of Southern California with award winning local news coverage as well as the most NPR (National Public Radio) content available anywhere in the region. 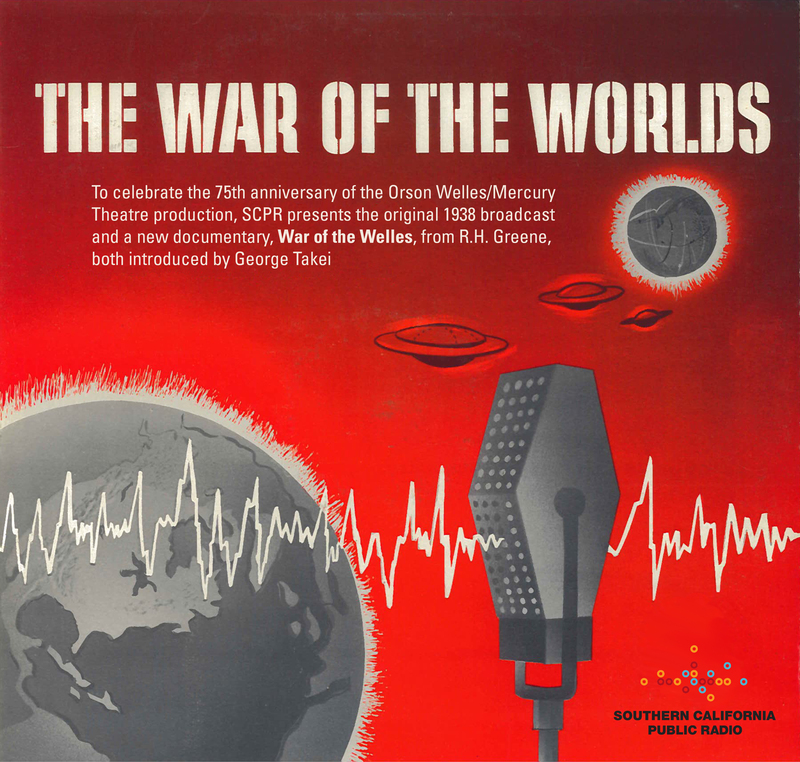 October 30, 2013 is the 75th anniversary of the world's most famous radio broadcast, the Orson Welles/Mercury Theatre production, "The War of the Worlds." Your station wants to rebroadcast the classic, but you've probably discovered you'd have to pay licensing fees to the family of writer Howard Koch to do so. Well, Southern California Public Radio is distributing a rights-paid, radio-friendly version of the original 1938 CBS broadcast. There's also a new documentary from R.H. Greene, "War of the Welles," telling the back-story of the production, correcting many myths, and explaining why it works as a radio broadcast. 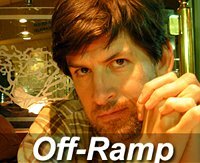 Off-Ramp Presents: Eduardo Sanchez does "Blair Witch" one better with "Exists"
Off-Ramp's John Rabe interviews "Blair Witch" filmmaker Eduardo Sanchez about his new Bigfoot movie, "Exists"
An Off-Ramp interview with Petros Papadakis, wicked smart, incredibly loud, and not-so-sportsy nationally syndicated sports talk radio host. Off-Ramp contributor RH Greene reports on Sunday Assembly, a fast-growing worldwide "church" for atheists. Produced interview with Del Casher, the little-heralded inventor of one of the most essential electric guitar add-ons. Off-Ramp Presents: The Flesh Eaters remember "A Minute to Pray, a Second to Die"
Punk supergroup The Flesh Eaters iconic 1981 album, "A Minute to Pray, a Second to Die," has been reissued.